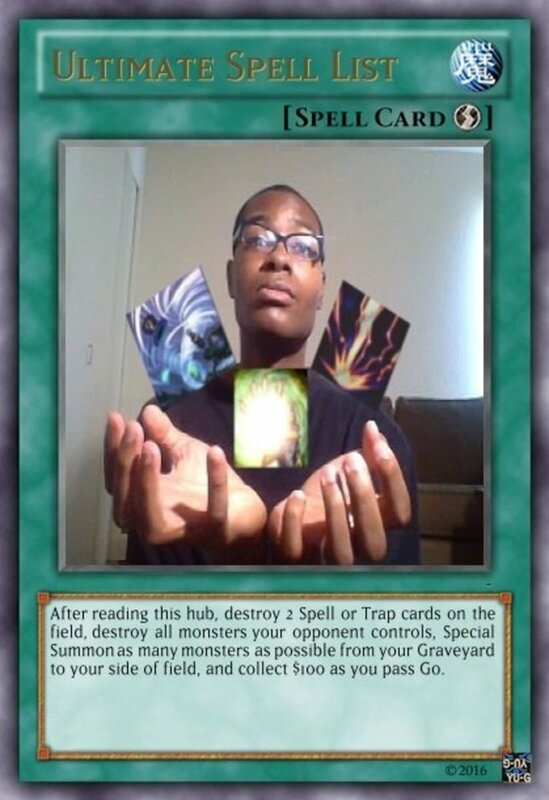 The Trap card is the life-blood of the Yu-Gi-Oh TCG. They make duelists’ hearts drop, they make memes, they set the rhythm and change the tide of matches, they make duelists deepen their voices with Yami-Yugi confidence. Is it the thrill of the unknown, or the security of having a secret hidden from one’s opponent that makes them so popular? 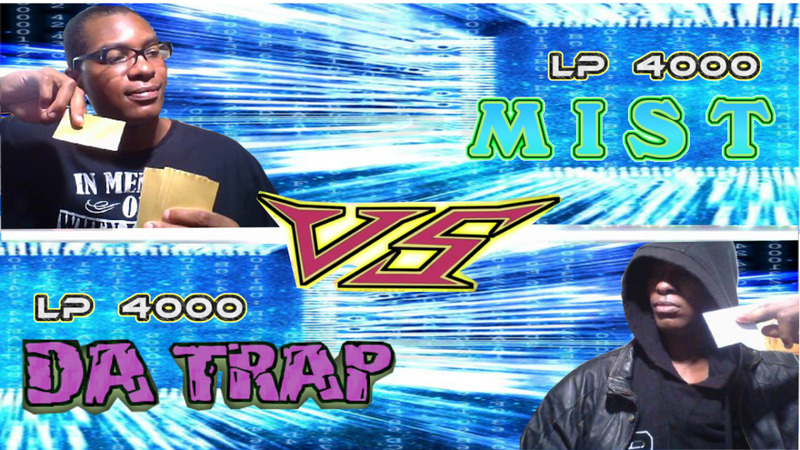 Whatever the case, one can’t simply write a list of Yu-Gi-Oh Trap cards; one has to do it justice. Set in no particular order, here are the best Traps currently in the game. One of the oldest tricks in the creation book, used to compensate for either limited time or imagination, is to make several slightly different copies of the original. 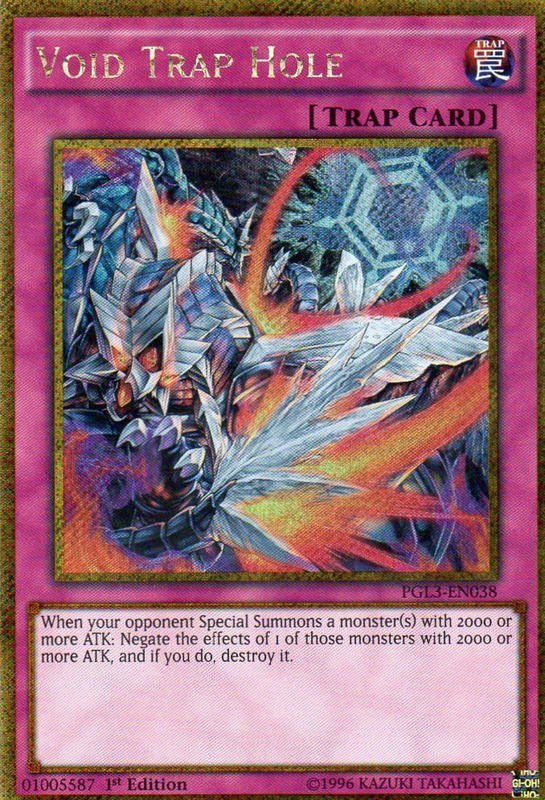 Final Fantasy does it with its monsters, Mortal Kombat did it with ninja clans, and Yu-Gi-Oh did it with its arsenal of mirror forces. However, in each respective set, there is always one that rises above the rest, and in the case of passive-aggressive reflection, it’s Drowning Mirror Force. 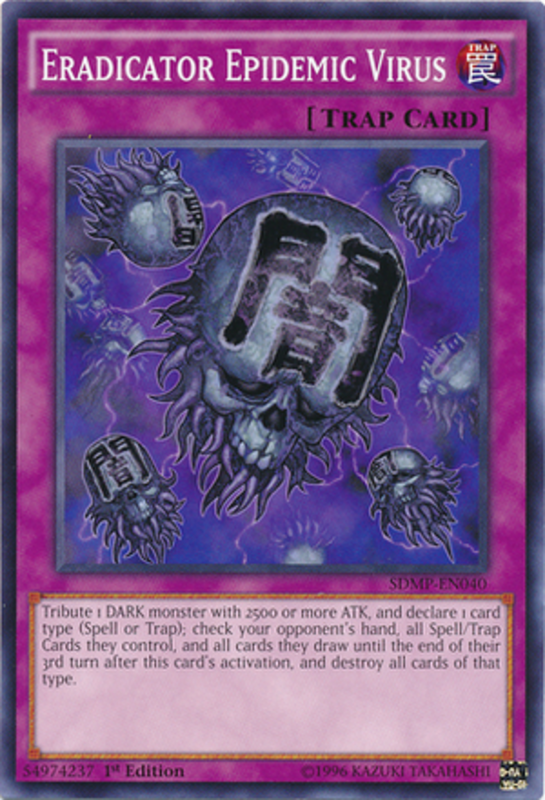 It appears a negative to return your opponent’s monsters to the deck to be reused like Chinese takeout containers, but with Pendulums swinging from the Extra Deck and top-tier decks being part-time necromancers, it definitely hurts more than any other trap wearing the mirror force name. When it comes to storming, blazing, radiating, sandstorming, or drowning, drowning proves the most effective. And so ended the tale of our three adventurers: Green Bean, Primal Man, and That Armored Guy #2,355,787. The Lolis, as usual, emerged victorious. The writer has no idea why this card hasn’t become more popular. Not only does it become three extra copies of any normal Trap card in one’s deck, but it also allows you to use it the turn you set it! The new card set may be the only Trap card you can activate that turn, but that means little when you set a Torrential Tribute, a Heavy Storm Duster, or a Waboku, and one can only imagine what type of havoc this card can wreck in a Traptrix or Dark Lair deck. If this card, under certain circumstances, could be a hand Trap (like if had no other facedown Spells or Traps on the field), it would be more sought after than a bottle of water in an Indian cuisine restaurant. Under its current circumstances, it makes the writer’s list of top Trap cards. This artwork has that feel when a DBZ fighter increases their power level before wiping out the boss’s grunts, or when someone in One Piece uses the Conqueror’s Haki to weed out the pawns. Not every top card needs to be a Main deck staple. Known by many as Evilswarm Exciton Knight 2.0, Evenly Matched balances a losing game by making one’s opponent with a stacked field banish cards facedown until they control the same number of cards as you. 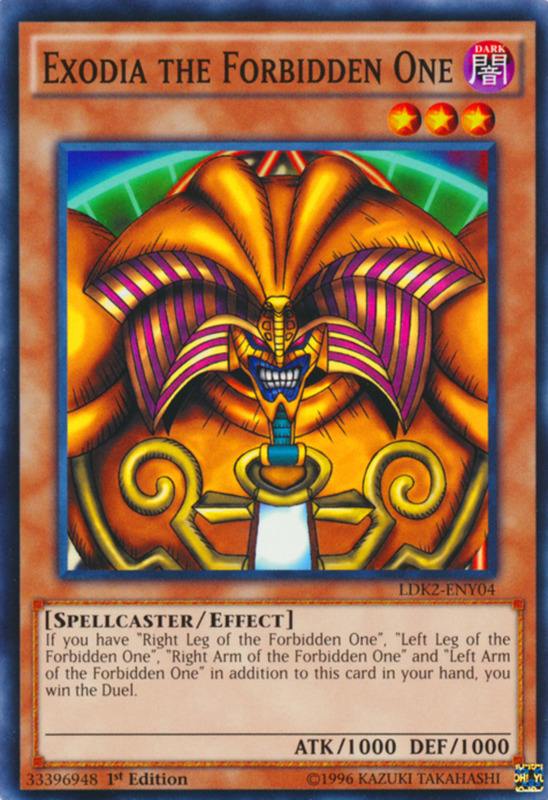 You can even activate this card from the hand if you control no cards, an effect keeping pace with Konami’s recent trend of making powerful cards with mechanic-breaking abilities. 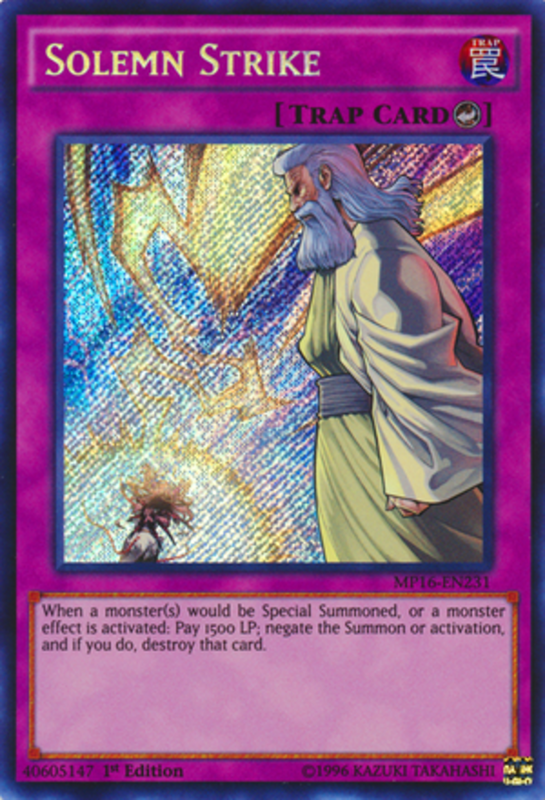 So, if you happen to find your deck losing badly, and if you happen to have a pot of gold lying around, get this card, and keep it tugged away within your loyal 15. It’ll make a great addition to your arsenal, just as it makes a solid addition to this list. This is a weird one. It's either he's dead, senile and hallucinating, or speaking to the Feather Folk from Star Ocean. Either way, this card has some explaining to do. Ouch! Struck by lighting for stealing your stuff? The writer doesn't think the punishment matched the crime, but that's just him. 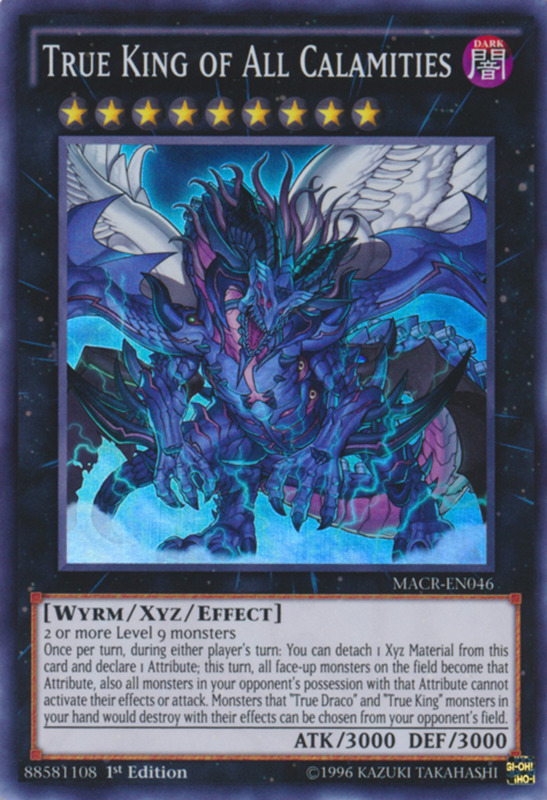 There are two things dominant in Yu-Gi-Oh right now: monsters with more special abilities than the sentinels from X-Men: Days of Future Past, and special summoning more than an army of Angels descending from the sky like Pendulums. And one new Trap card, for a mere 1500 lifepoints, stops your opponent from doing both of those: Solemn Strike. 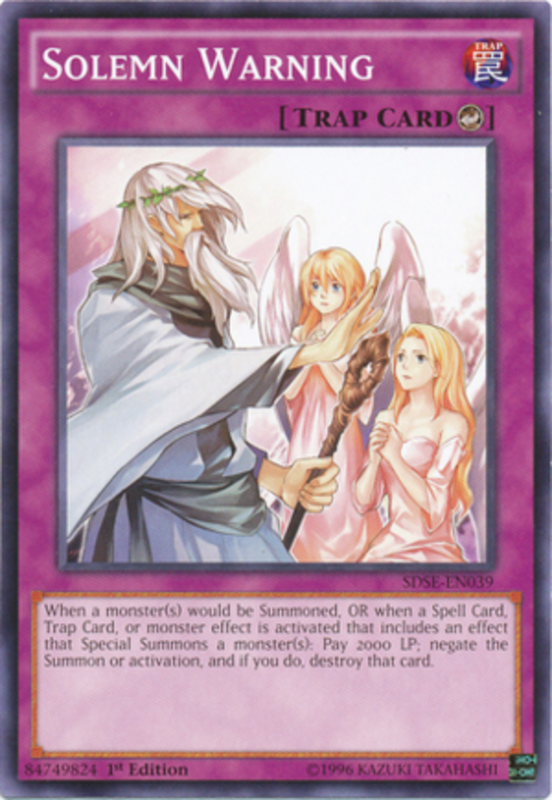 Not only does this card conclude the story of a chick whose kleptomania made her face the wrath of an all-powerful priest, but its counter-trap status makes only other countertrap and stun cards able to abate its threat. Oh, and let us not forget, unlike Warning and Judgment, this card hasn’t graced a limited or forbidden list since its reign of terror began. The good news is: if you have the dough, you can run three of these. The bad news is: everyone else is going to. The best news is: this card is a staple on this list. 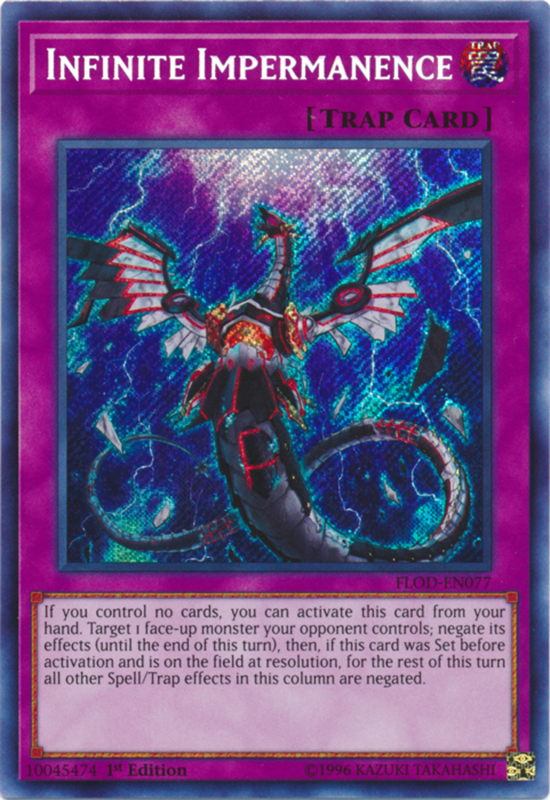 Cyber Dragon Nova looks a little too happy knowing, even if you negate his monster effect, his legacy lives on in a hand trap-Trap card. 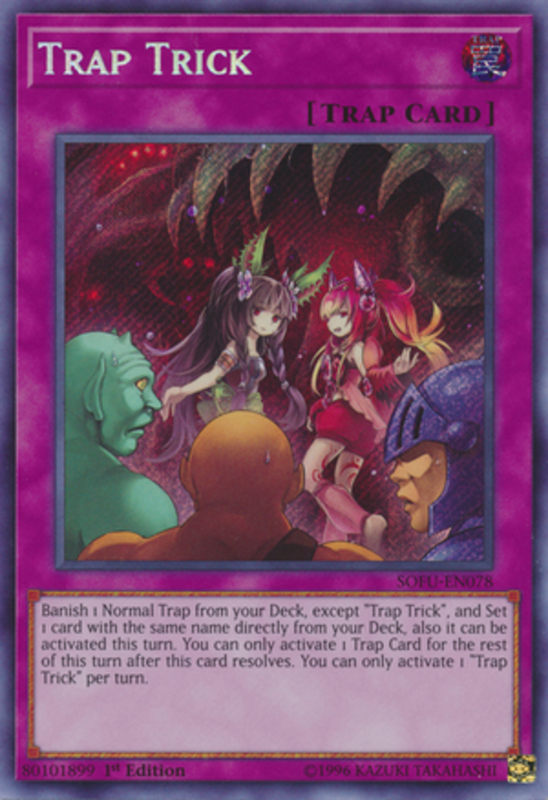 It’s the Era of the Hand Traps duelists, and it’s interesting how trap cards finally decided to join the fun. 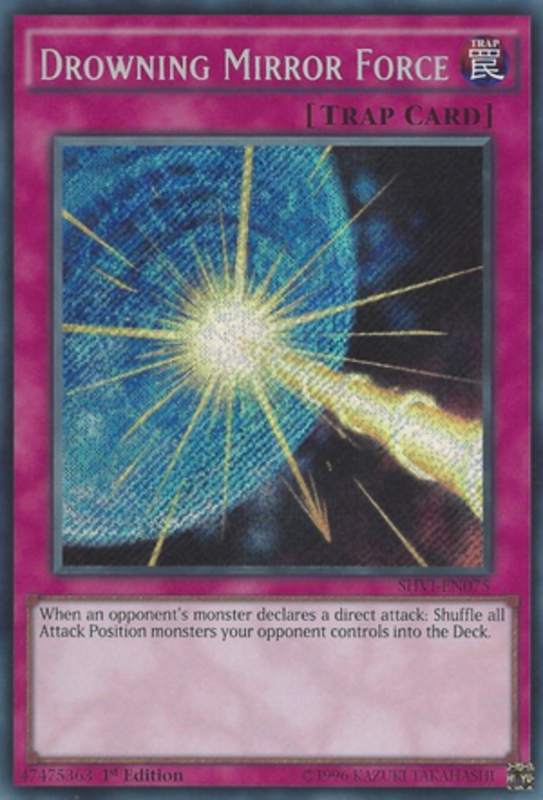 The writer’s favorite trap, Breakthrough Skill, a card negating a monster’s effects once when played from the field and again when banished from the grave, may have a two-for-one deal going for it, but if your opponent decides to make a series of plays to lock you out turn one, it’s not going to do you much good. Infinite Impermanence sacrifices double-the-trouble for flexibility, allowing you to do more than sit with a thumb in your mouth if you’re out of dead, three-star lolis while your opponent’s releasing the armies of hell on the field. The writer also gives a plus to the artwork, the lack of a stupid pun, and the originality in the name. It’s an oxymoron: look it up. Look how elegantly she’s returning from the grave… To burn the life straight outta ya. A useful tech in decks looking for hand disruption, Trickstar Reincarnation ascended beyond a way to Pet Cematary your pop idols that burn your heart so hard they disintegrate your soul. The last effect greatly advances Trickstar decks by allowing them to revive a pop star from the Grave, the first effect serves as a hand destruction effect capable of interrupting your opponent’s searches, or for after your opponent gives you a cheeky grin after looking at one’s hand. 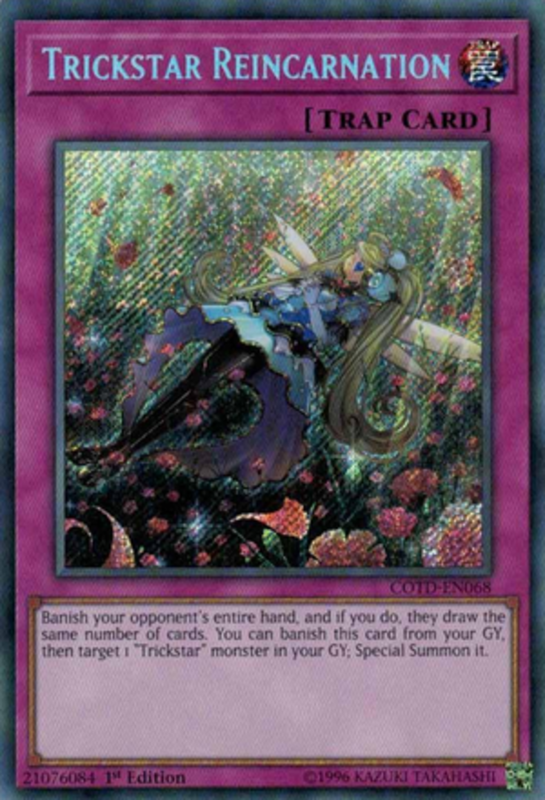 Considering how Konami loves to limit cards affecting the opposing duelist’s hand, Trickstar Reincarnation making it past the cutting room floor would have earned it a slot on this list anyway, but it becoming a staple to the wise, unless you’re facing a deck of ghost wyrms, gives that slot a cement foundation. That looks like a loooonnng drop. The writer wouldn't wish this fate on anyone... except maybe Time Wasters, duelists who take forever to play when they're losing. Like the Mirror Forces, there are many hole cards in the game. 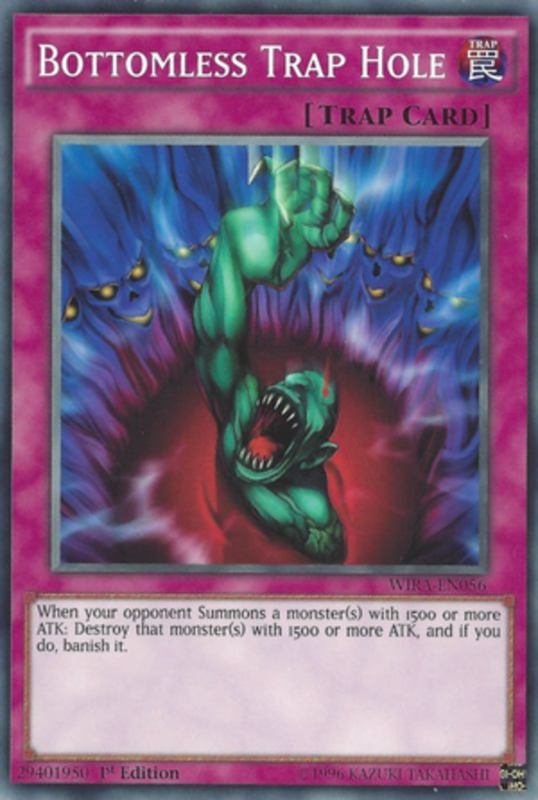 Some banish set monsters, others drop monsters activating card effects, then there’s the one that trampolines Light or Dark monsters, etcetera, etcetera… But there’s only one with the power to not only destroy and banish a monster, but to also do this to any monster, granted it has greater than 1500 attack: Bottomless Traphole. 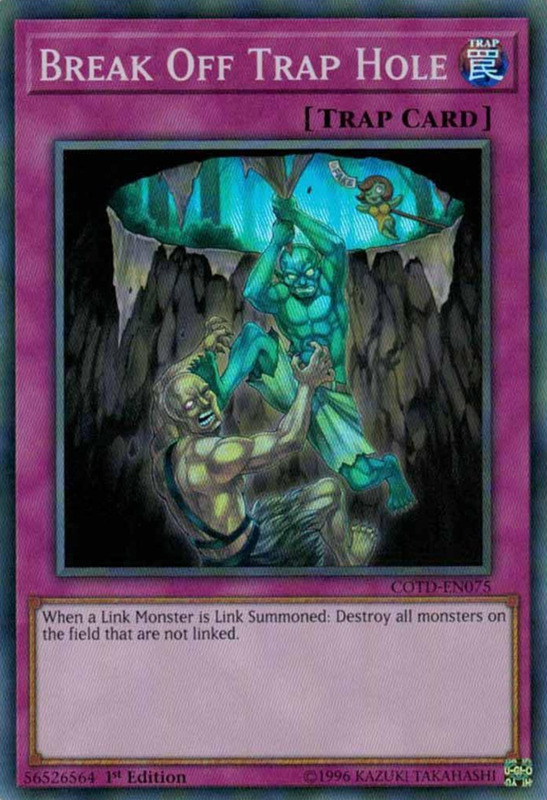 Bottomless is more ancient than a stone slab with Atem carved in it, but the card is the only limited member of the Hole club for a reason: most monsters sporting over 1500 are a viable threat worthy of using a trap on. In the era of the Pendulum, this trap’s ability to destroy and banish all monsters simultaneously summoned that meet its criteria make it more dangerous now than it was ten years ago. The writer also grants final points to the artwork. Can’t you just feel the impending doom as that terrified imp falls helplessly into a black pit of cackling, demonic spirits? Holy cow look how big that gold coin is! Give me that coin, creepy mustache man, and sure I'll stop the activation of my Spell or Trap. Shoot, you can have my whole deck for it. I'm going to Disney Land. In the writer’s opinion, and he can guarantee, to most, it will be the most vexing addition to this list, Dark Bribe is the king of Trap Cards. It stops any card on this list and any Spell card. 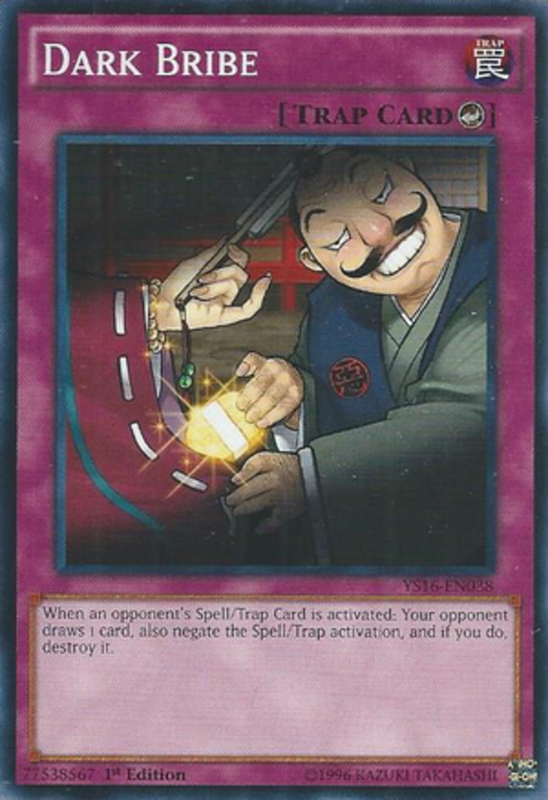 Sure, your opponent may be gaining 1 card, but does that really matter if you’re negating a Soul Charge, a member of the Solemn family, a Raigeki, or any Hole card? And besides, the writer always feels safe if he has at least one Dark Bribe hidden within his 40 card arsenal, and this feeling of security provided by this countertrap places it at the apex of Trap cards. 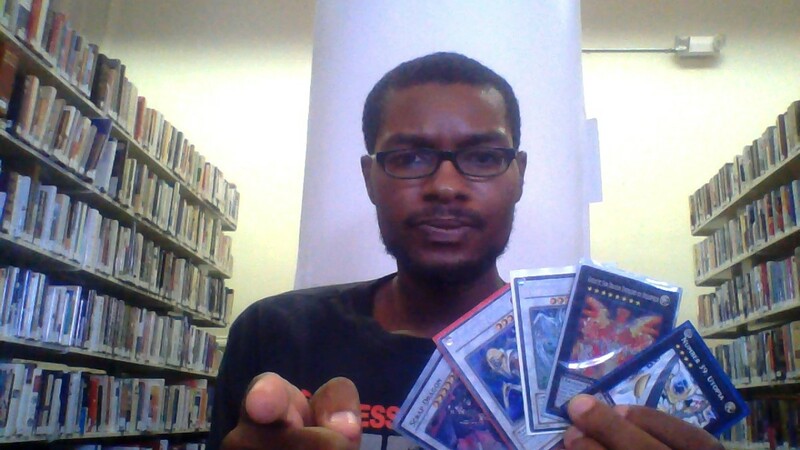 I ask the reader: What type of disease could prevent you from setting traps or activating magic spells? Perhaps something that causes debilitating arthritis in the hands and whooping cough or severe sore throat? Dark monsters must be a nasty bunch. Sure, it proves effective to stop Trap and Spells after their played, but it’s much more efficient to prevent them from getting played in the first place. 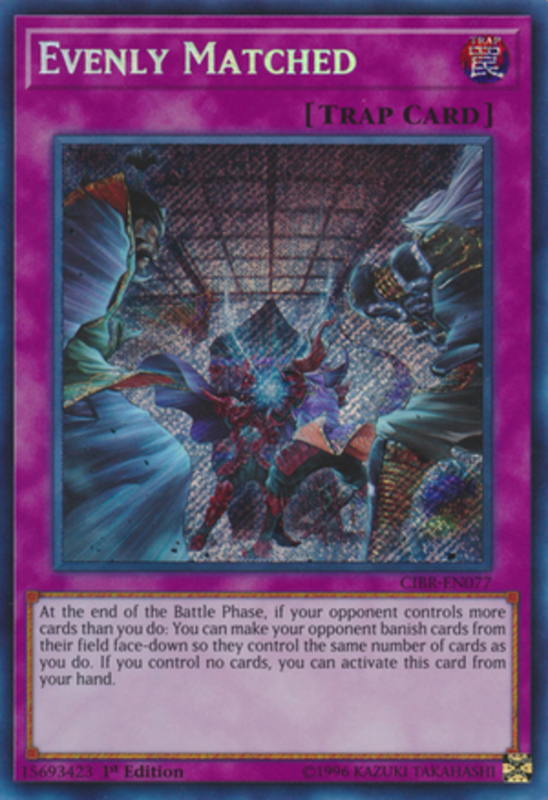 By tributing a Dark monster with 2500 or more attack, Eradicator Epidemic Virus destroys all set, activated, and drawn Spell or Trap cards of one’s opponent for three of that opponent's turns. The card is as devastating as its name, eliminating all of your opponent’s Trap protection, silencing any Stall-deck, or killing any mystic tome-reliant decks, like Prophecies, Harpies, or Spell Strikers. This bubonic epidemic is a staple in Dark decks for its ability to plague nearly all decks, and that grants it a slot among the purple-tinted greats. What Trap card is the most brilliantly clandestine of the bunch? The first of an archetype of Trap Monsters you KNOW are coming. Hey, Zoodiacs were a thing, right? The endless fall without Netflix, your cell phone... or a toilet. Yami: Thanks for mentioning Skill Drain. It's a personal favorite, and I would have mentioned it here, but too many cards can escape it now (Especially dodgy ABC decks) since it only stops effects on the field. ultimatedefense: Solemn Wishes and Magical Cylinder... I miss the days when those cards were game-breakers, but if used in the right build, they can still pack a surprise. Ceasefire. Up to 5000 damage in one turn. Also negates flip effect monsters as well as flips them. Flips opponent's face down monsters face up. Flip effects are negated. Then deals 500 hp damage for each effect monster on the field (the field is either side). So 10 slots of monsters can make it up to 5,000 damage if in defensive standstill. Just very likely to at least do 1000 damage. What about the original mirror force, magic cylinder, draining shield and solemn wishes ? Recall would be a great addition, as it is a dark bribe for monster effects. Not only EEV, but all of the Virus cards should be on this list. Thanks for commenting, man! Yeah, Royal Decree should always be a side-staple in case you find yourself fighting waves of troll decks, but I think the current format, where everyone is Pendulum summoning to access their extra deck to stun people out, makes traps cards not as crazy as they used to be. LOL, Sixth Sense. LMFAO! Now that was a Trap Card! Hmph! Those aren't Trap cards... Now Royal Decree, that's a Trap card! Kidding, these are definitely potent (Drowning Mirror Force in particular). Royal Decree's a cool Continous Trap that negates all other traps, great for Monster and Spell-oriented players like myself. And of course the long-banned Sixth Sense. Yikes.